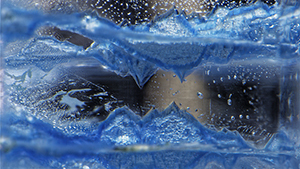 Named after seawater, aquamarine’s fresh watery hue is a cool plunge into a refreshing pool. 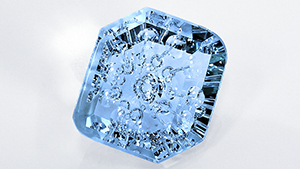 This 3.36-ct. gem is an emerald cut, which is typical for aquamarine. 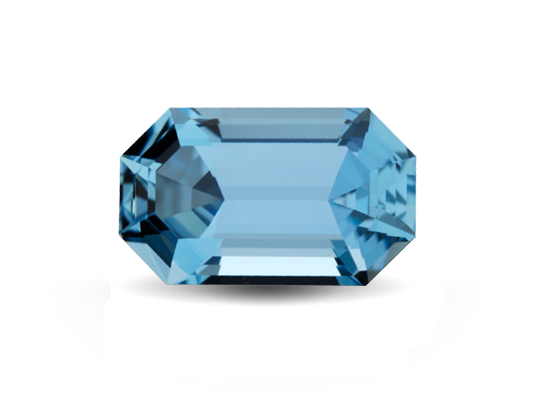 Aquamarine’s most valuable color is a dark blue to slightly greenish blue. 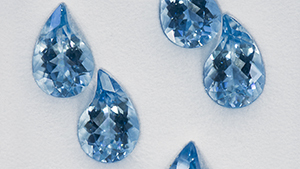 Like all fine aquamarines, this gem is free of eye-visible inclusions. 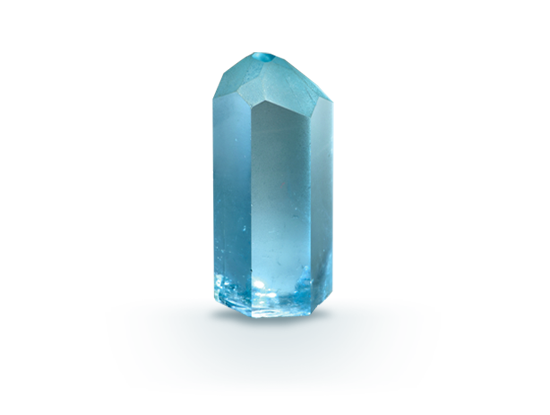 The crystal shows aquamarine’s typical six-sided columnar form. A collector might call this crystal a “pencil” due to the faces at its tip. 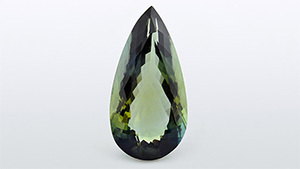 A transparent greenish blue pear-shaped gemstone, reportedly from Madagascar, is discovered to be a Maxixe-type beryl. 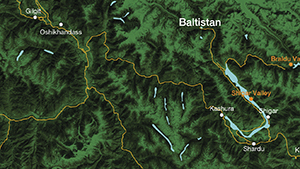 A gemological investigation of the aquamarine that has emerged from northern Pakistan in recent years. Alexander Arnoldi explains the strategy of Arnoldi International and provides an update on some new high-quality materials. Michael Dyber discusses his approach to gem carving. 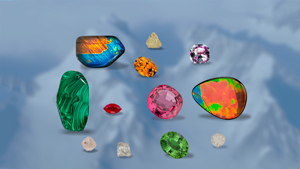 A review of Gemstone Carvings: The Masterworks of Harold Van Pelt at the Bowers Museum in Santa Ana, California. A rough aquamarine crystal shows an unexpected phenomenon. Circumnavigate the boreal reaches of the globe to explore gems from polar regions. 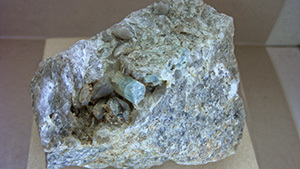 A striking aquamarine specimen showed a strongly saturated secondary growth layer. Examination of aquamarine samples from a new primary deposit in San Luis Potosí, northern Mexico. 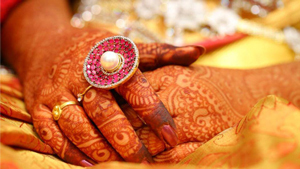 Emerging artist Trishala Ashok – who has won multiple design awards – looks beyond the mundane and minutiae of daily life to create her jewelry.